When MS in Accounting student Aashna Shah decided to make the move from her hometown in India to the United States, she didn’t know if she was ready for the adjustment. Having lived in her hometown her entire life, she wasn’t sure she’d be able to create a community in another country so far from home. But once Shah arrived on Drexel’s campus, she knew she had found a second home. Prior to joining the Drexel family, Shah had already developed a strong background in business. Shah’s father and grandfather both owned small businesses during her childhood and it was often over family dinner that she would discuss business plans and strategies. “Watching my father try and get his books set up and trying to work the logistics out for his business is when I thought I wanted to do my master’s in accounting,” says Shah. 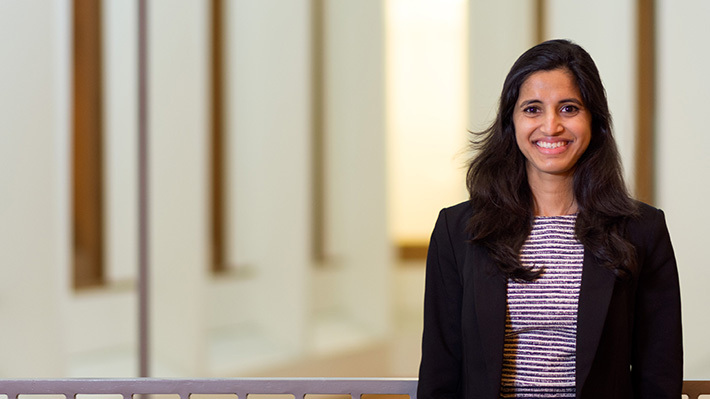 When Shah completed her Bachelor’s in Business administration in India at Ahmedabad University, she knew she wanted to join a program that would help her create a more desirable resume and versatile skillset before she entered the workforce. Shah was not disappointed. Even before arriving on campus, the first professor in her MS in Accounting program sent Shah work to complete before arrival, helping her to get acclimated to the program and become familiar with the professor before she took the class. “Before I was in the United States, I was at home just trying to watch a few videos and try and finish the pre-work. I think that definitely helped with the transition,” says Shah. What’s next for Aashna Shah? Since her position at KPMG is fairly new, Shah says she’s looking to gain more experience. In the long term she hopes to advance in the company and eventually pursue her MBA. View the courses and full-time and part-time sample plans of study for the MS in accounting program.